Imagine a world without dogs. It hardly bears thinking about, but in this dystopian look at Japan twenty years into the future, all canines have been banned from society after a bout of a dangerous illness called canine flu. Rather than being euthanised, the pooches are being quarantined and moved to Trash Island where they are left to fend for themselves. One group of four-legged friends includes Chief (Bryan Cranston), Rex (Edward Norton), Boss (Bill Murray), Duke (Jeff Goldblum) and King (Bob Balaban), and they are seriously missing life amongst humankind – not to mention food that isn’t mouldy and maggot-infested. Then one day, a young boy named Atari Kobayashi (Koyu Rankin) shows up on the island with a stolen Junior-Turbo Prop XJ750 aircraft searching for his own long lost pet, Spots. It doesn’t take him long to win the trust of the island’s residents, who agree to help him search for the dog. Of course, back home, he is noticeably missing and his family inform the authorities. Soon they arrive at the island preparing to take him home, but Atari doesn’t want to leave without Spots – and his newfound friends won’t let him either. As Atari’s search takes them further afield, it becomes clear that there is a much darker conspiracy happening in the nation – and that his dog may be being held prisoner somewhere. 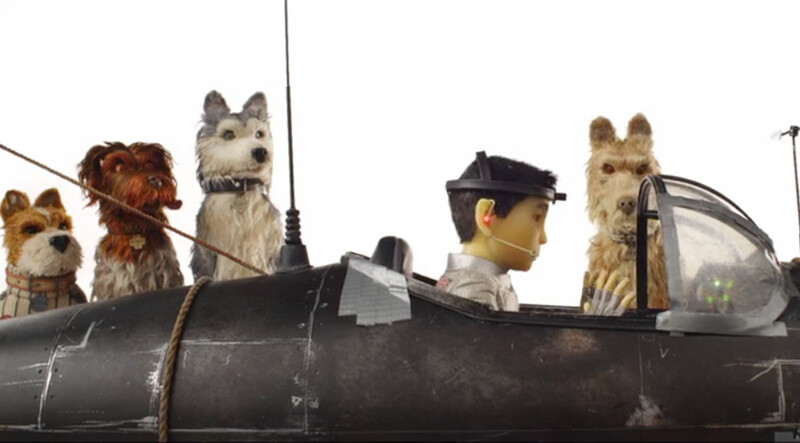 The Oscar nominated Wes Anderson (‘The Grand Budapest Hotel’, ‘Fantastic Mr. Fox’, ‘The Darjeeling Limited’) returns as the director and writer of a new stop-motion animation ‘Isle of Dogs’. His previous collaborators Kunichi Nomura, and Roman Coppola and Jason Schwartzman (‘Mozart in the Jungle’) also helped write the story. The film, which features an all-star cast, was originally teased by the filmmaker back in December 2016 when he unveiled the briefest of clips from the movie showing Edward Norton’s character Rex. ‘Isle of Dogs’ will be released in the US on March 23rd 2018.